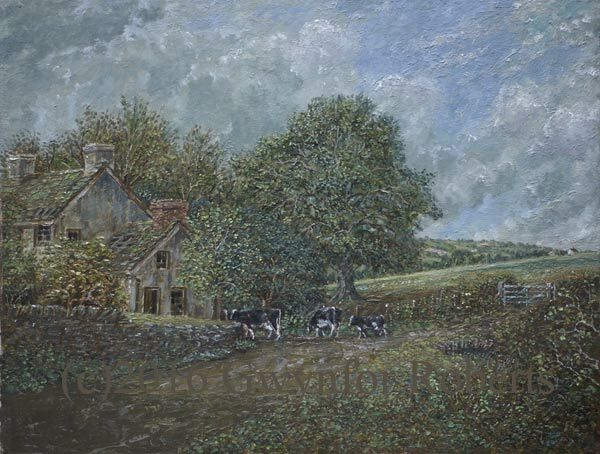 This oil painting shows local farmhouse 'Gwernau Ganol' which is just off Pandy Road, Maesycwmmer.The lane shown goes down to Pandy Road or further up the mountain to another farm : 'Gwernau Hall'. The main house shown here has been derelect for many years though someone is living in a caravan close by. 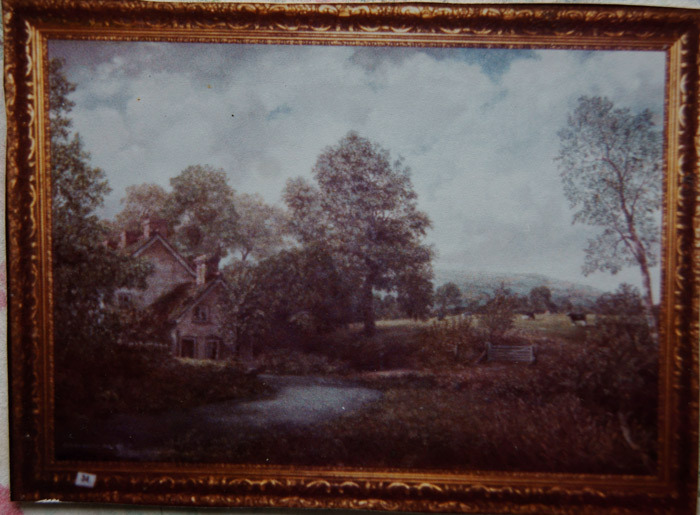 Neighbouring farm 'Gwernau Fawr' is just out of the painting on the right. The painting was donated to BBC Wales for the charity, 'Year of the disabled child' in April 1981. I was there at the auction in the City Hall, Cardiff but was unable to get the buyers name. If you know of this painting please contact me with the information - Dec 2016, no luck then with the whereabouts of this painting, lets hope it hasn't been binned ! A later and smaller version is shown below. This was done after the painting above though it's been repainted in parts and I'm happy to say it's with me. Prints are available in sizes 1 and 11. Click HERE.